All prices on the website include FREE standard shipping worldwide*. Your Addcolo human hair products are shipped from our warehouses located in Qingdao City,China. It will take 1-2 business days to process your order, regardless of the shipping option selected at checkout. We ship Monday through Saturday, excluding weekends and holidays. We cannot guarantee Saturday delivery, even if your shipping is upgraded to express. We do NOT ship orders the same day. Please allow up to 2 business days for orders to process (for example, if you order on Monday, your order should ship out on Tuesday or Wednesday). You will receive a confirmation e-mail with the tracking link once your order ships. Express shipping options and any other third-party fees are non-refundable. International customers (outside of the United States) are responsible to pay any applicable inbound duties, taxes, and any other fees which your local Customs authority deems appropriate. These fees are paid to your local carrier or government and are not collected by Addcolo Hair, and thus cannot be refunded. It is the responsibility of the buyer to make sure that she or he enters the shipping address correctly. We do our best to speed up processing and shipping times, hence there is a very small time gap to cancel/change your order or to change the address of your order. If you decide to cancel your order or change your shipping address, please write to us at@adcolohair.com as soon as you place your order. We will do our best to make the change, however we cannot guarantee that we will be able to do so, as there are varying time limits in which we are able to do so. If it's too late for our team to cancel your order, you can return your order to us once you've received it. For more information on how to return your order click here. The only thing we can do is wait to see if the package gets returned back to us. If it does get returned back to our warehouse, we can then ship it to the correct address or provide you with a full refund. 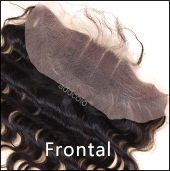 By placing an order at Addcolo Hair, you are responsible for the cost of return shipping back to Addcolo Hair. Please refer to our international returns policy here for further information on how to return your packages. Please note that Addcolo Hair charges state sales taxes on orders to California and Pennsylvania at the rate applicable for the county of the purchaser. These collected taxes are mandated by the local state governments and Addcolo Hair in no way benefits from this and directly pays this amount collected to the state. Please note that Addcolo Hair charges a 21% VAT on all orders shipped to a country within the European Union (EU). These collected taxes are mandated by the Dutch government and Addcolo Hair in no way benefits from this and directly pays this amount collected to the government. For more information on military mail with USPS, please click here .